Diabetes also known as diabetes mellitus is a chronic metabolic disorder. People suffering from diabetes have increased blood-glucose level either due to insufficient insulin production by the pancreatic islet cells, or inability of the body cells to respond to insulin properly, or combination of both.Thus, body becomes unable to utilize glucose present in food and glucose gets accumulated in blood.This high blood glucose levels, if not controlled, usually damage the small blood vessels of the kidneys, heart, eyes, nervous system and subsequently lead to kidney failure, heart attack, blindness, stroke, and nerve damage. Diabetes mellitus is mainly of two types: Type 1 and Type 2. Type 1 is an autoimmune disorder, where insulin-producing cells are damaged and thus little or no insulin is produced by the body. In Type 2, insulin is produced but fails to function properly, a condition called insulin resistance that eventually reduces insulin production. Type 2 is more common than Type 1 and accounts for about 90-95% of the total diabetic cases. Why diabetes is a major public health concern? Diabetes is a serious global problem affecting millions of individuals both adults and children. Diabetes is contemplatedas biggest epidemic in the twenty-first century. Diabetes is considered as a ‘silent killer’ as it damages most of the organs of the body. Thus, it is extremely important to address this concern as soon as possible by developing proper and effective treatment. Conventional therapy for diabetes includes insulin injection or replacement of the pancreatic beta cell via pancreatic islet transplantation. But one problem faced by the physicians in case of pancreatic islet transplantation is that primary human islets are not easily available. 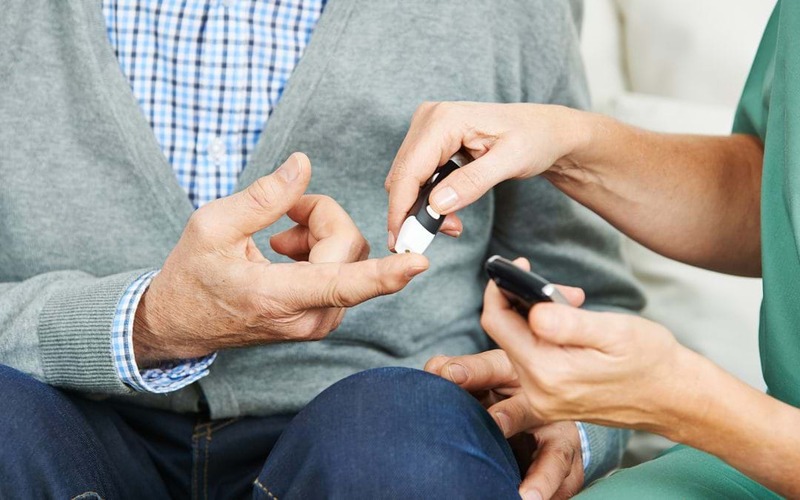 Thus researchers have to think about an effective alternative therapy to treat diabetic patients. The alternative approach is the Stem cell therapy. Stem cells are a class of undifferentiated cells, which can differentiate into specialized cell types under right conditions and can self-renew. In this approach autologous (one’s own) stem cells are used. As the stem cells are introduced into the body they are able to promote regeneration of the impaired or lost pancreatic islet cells, which produce insulin and this insulincan, recognize and utilize glucose normally. What types of stem cells are used for the treatment? Stem cells from different sources such as adult and embryonic stem cells can be used. Both types have some advantages.Embryonic stem cells have highest potential to differentiate into insulin secreting cells. Mesenchymal stem cells (MSCs) derived from human adult tissues are also good source of stem cells since they have high capacity to self-replicate and differentiate. Why adult autologous stem cells are mostly used for stem cell therapy? Nowadays, stem cell therapy using adult autologous stem cells is becoming a promising approach to treat various metabolic and neuro degenerative disorders. The most probable use of the adult stem cells include development of insulin-producing cell for type 1 diabetes, repairing damaged heart muscle with cardiac muscle cells after heart attack, and regenerating bone using cells derived from bone marrow stroma. As the patients are receiving their own stem cells there is no chance of immune rejection. Furthermore, MSCs are found to be beneficial for management of several diabetic conditions, such as progression of diabetic nephropathy, attenuation of symptoms of diabetic neuropathy, and healing of diabetic foot. Besides, mild effects related to injection such as swelling or irritation at the injection site that can be addressed by over-the-counter pain medication no major adverse effects have been reported. However, the medical practitioner must be well experienced with this technique. Moreover, further researches are needed to get a clearer picture of this therapy so that it can be used for curing vast number of disorders.